Close to the beach and within walking distance to many restaurants. Good wifi and parking. Excellent shower room. Reception and all staff really helpful. Location would normally be excellent, and apartment layout was good. 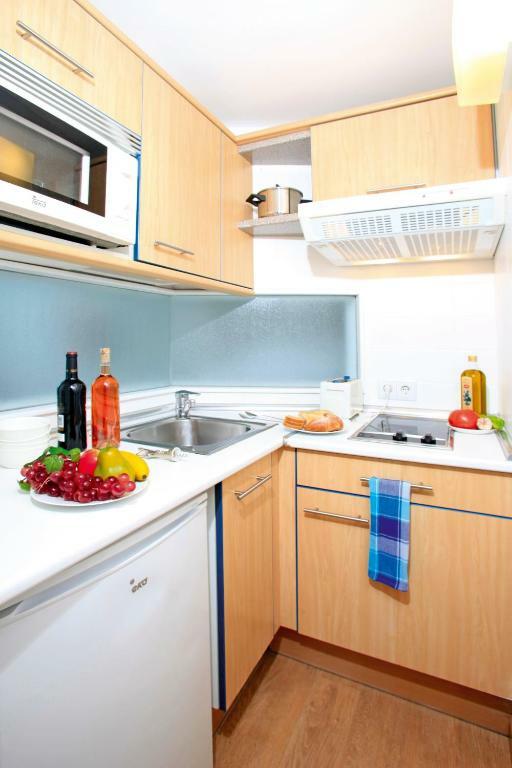 Beds comfortable and kitchen reasonably well equipped. Apartments are a good size so plenty of space. These apartments have the perfect position for us. Opposite Tamarells beach and an easy walk into town.Staff friendly and helpful. This is our second stay here and we are going again next year. Small car park on site but otherwise plenty of space on the road behind and in front of the complex. Several small supermarkets close by and not far from a big one for all your needs. Also plenty of secondhand books to swap and bikes can be hired from here or close by. Fantastic location just 10 metres away from the beach. All flats except the ones on the garden level have sea views. Good-sized pool. Interior quite modern and fresh. Despite the bad weather we still had a good time . Restaurants are perfect the food was excellent and you can do lot of activities around . I would recommend to come to visit this place . Especially to visit the restaurant Paulito & Son . Loved the location. The apartment was literally across the street from the beach. The apartment had a kitchen stocked with lots and oans and dishes as well as small stove top, microwave, toaster and kettle. The view from the patio out to sea. Good size living room, bathroom and bedroom with plenty of storage space. Booking.com were very helpful. They asked the Belllamar to compensate us and they offered a meal for two in one of the worst restaurants in the area and 2km from our apartment. I asked for 100€ and that request was granted along with an apology. We had no major complaints about Hobby other than the awful view from the balcony. 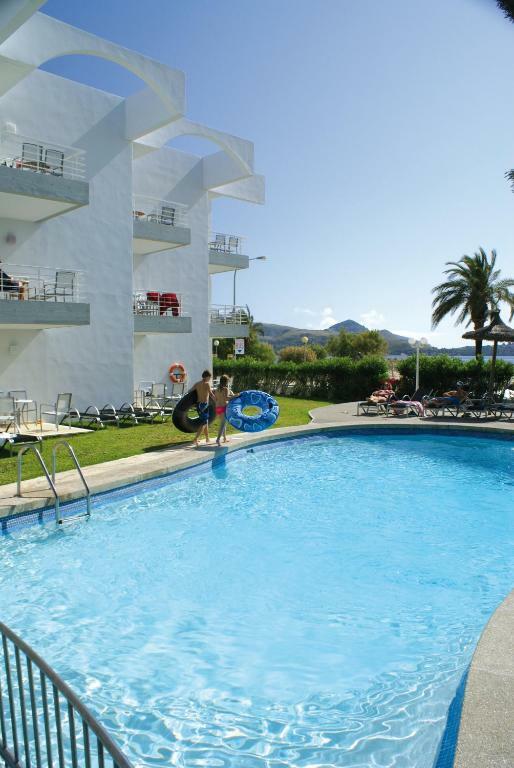 Great location, comfortable stay, lovely sea views, basic facilities with everything you need. 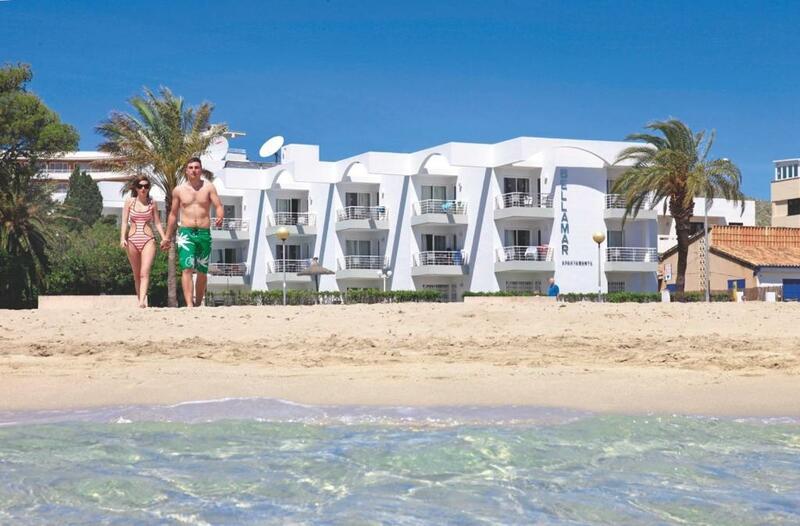 Lock in a great price for Apartamentos Bellamar – rated 8.5 by recent guests! 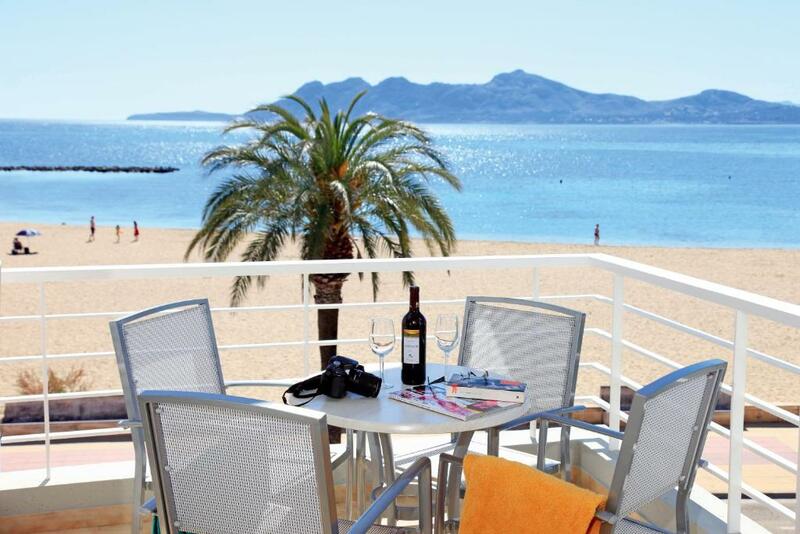 One of our top picks in Port de Pollensa.Bellamar Apartments are next to Mallorca’s Puerto de Pollensa Beach. They offer a seasonal outdoor pool set in gardens, 24-hour reception and free parking. All apartments have a balcony with sea or pool views. The bright air-conditioned apartments have wooden floors and a living room with a safe, sofa and flat-screen satellite TV. 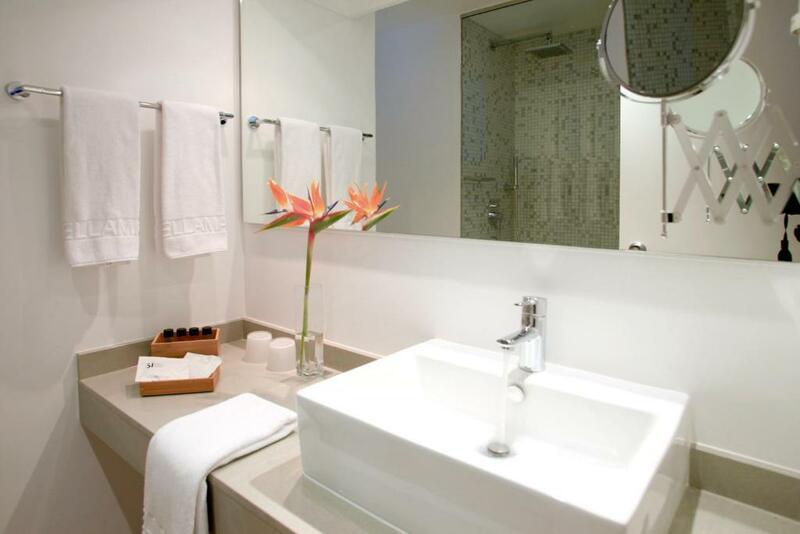 The private bathroom comes with a hairdryer and toiletries. There is a dining area and kitchenette with a fridge and microwave. 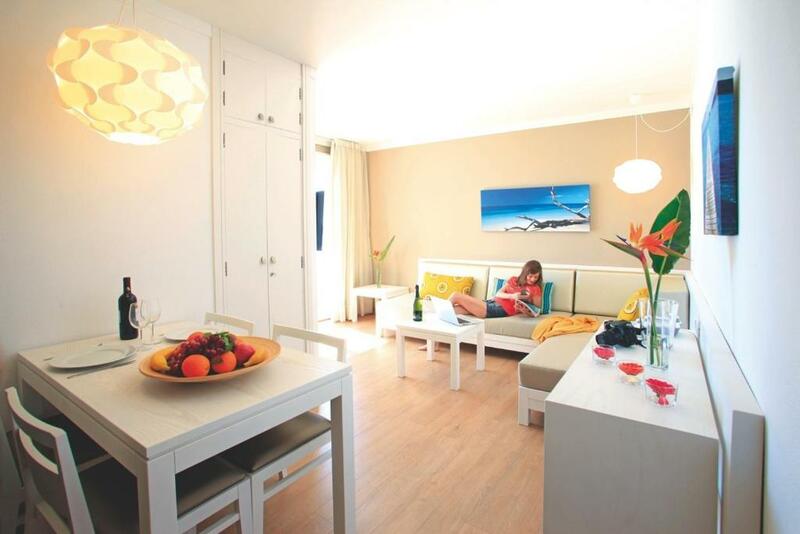 At Apartamentos Bellamar you can play table tennis or billiards, or hire a car or bicycle from the tour desk. Currency exchange is offered and an airport shuttle can be requested for an extra charge. 뀐 Located in the top-rated area in Port de Pollensa, this property has an excellent location score of 9.5! 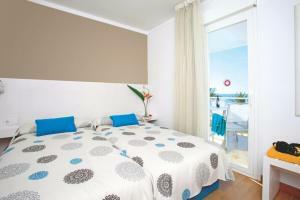 When would you like to stay at Apartamentos Bellamar? This bright, air-conditioned apartment has sea or pool views and wooden floors. There is a living room with a safe, sofa and flat-screen satellite TV, a dining area and kitchenette with a fridge and microwave. A balcony or terrace is possible under request and subject to availability. Los Aptos Bellamar gozan de una excelente situación y con la playa a sus pies se disfruta de unas vistas privilegiadas sobre la Bahía de Pollensa. A tan solo 400 metros del centro del Puerto de Pollensa, donde podrá encontrar una amplia oferta de bares, restaurantes y tiendas. La zona ofrece la más amplia gama en la práctica de cualquier deporte: vela, windsurf, kite surf, ski acuático, buceo, snorkel, golf, ciclismo, senderismo, nordic walking, avistamiento de pájaros, todo ello en un paraje declarado Patrimonio de la Humanidad como es la Sierra de Tramuntana. Situados a tan sólo 7 km de los campos de golf de Pollença y Aucanada (a 10km), o a 15 minutos en coche de la paradisiaca playa de Formentor o las magnificas calas y acantilados de la Cala de San Vicente. House Rules Apartamentos Bellamar takes special requests – add in the next step! Apartamentos Bellamar accepts these cards and reserves the right to temporarily hold an amount prior to arrival. Apartments are cleaned 3 times a week. Please inform Apartamentos Bellamar of your expected arrival time in advance. You can use the Special Requests box when booking, or contact the property directly using the contact details in your confirmation. The only thing that was a total bust was the wifi. We were on the second floor and we couldn’t get on. It did seem to work in the lobby. Nothing. Least good feature was the kitchen, it had everything we needed to prepare drinks /breakfast but was small for making a complete meal. I booked the apartment in February having researched in detail all the properties in the vacinity. However as we were travelling from Palma to the accommodation on 6th October I had a message saying that no rooms were available and we were giving a room in the Hobby hotel apartments. We went there and we were given a room with a view of nothing but the neighbouring apartments. All rooms on Bellamar have good views. We asked to move but no other rooms were available. This seems to have happened more than once before. Enough space on parking, easy access by a car, amazing view from apartment, friendly staff. Next visit to Mallorca most probably will take this apartment again. The only complaint, and the same one as last year, please improve the quality of the towels provided. Clean, well maintained, with friendly and helpful staff in a great location. WiFi was out of action for 5 of our 7 day stay. This was a third party provider issue, but was still inconvenient. Excellent customer service, room was ready in advance of our check-in time. We were moving from our previous week's accommodation and the staff here were extremely helpful in getting us set up. Handy bikes available for rent which we used to visit nearby Alcudia (7k). Supermarket close by.